Our natural black iron oxide is from the last remaining European company operating the ochre deposits in the French quarries of Gargas and Rustrel nestled in a 12 mile long enclave in the heart of the Luberon Massif, the ochre country. A dense, opaque, heavy color that is absolutely permanent. It is comparatively cool to neutral in undertone, wets easily, and is non-greasy, when compared to carbon blacks. It is a useful pigment when these qualities are required. Mars black is the name given to the artificial substitute of natural black oxide. 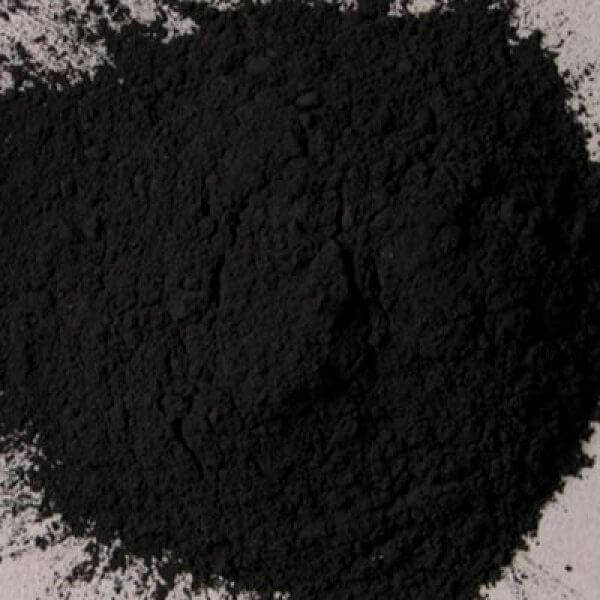 Black oxide is a recent development in modern pigments and was unknown in artists' palettes before the 19th century. The source of natural black oxide usually is from an iron ore called magnetite. Magnetite, also known as lodestone, is a ferrous ferric oxide (ferrosic oxide) that is a heavy, black color and opaque. Theoretically, black iron oxide contains slightly more iron metal than red oxide but not nearly as much as yellow oxide. The native mineral may contain varying amounts of manganese, sulfur, clay and silica. 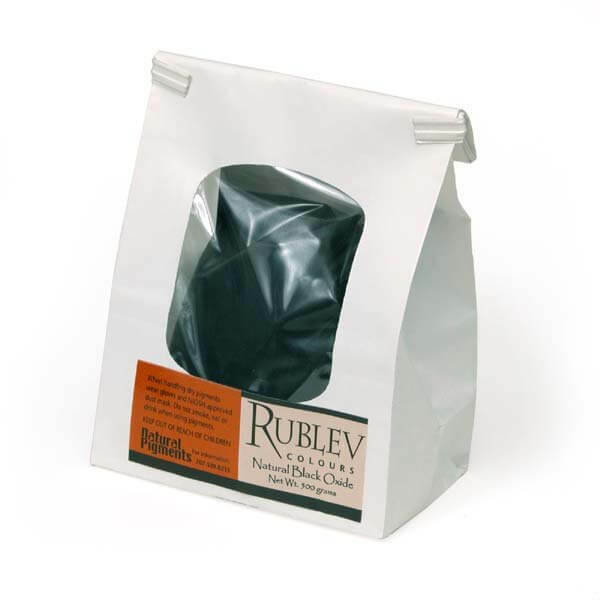 Natural black oxide is absolutely permanent colors for all uses on the artist's palette. It is compatible with all other pigments, and can be used with good results in all mediums. Natural black oxide absorbs a moderately low amount of oil. The oil absorption ratio is 10–15 parts by weight of pigment to 100 parts by weight of linseed oil. If the measurement were grams, it would require 100 grams (by weight) of linseed oil to grind 10 to 15 grams (by weight) of pigment to form a stiff paste. It makes an average drying oil paint, and forms a hard, fairly flexible film. Natural black oxide is not considered toxic, but care should be used in handling the dry powder pigment to avoid inhaling the dust.